Typically, web development is separated from web ‘design’ in that design focuses on the visual impact of a site as well as the usability, and ‘development’ tends to be more the nut and bolts of the technical architecture and coding. This is an oversimplification, but for the purpose of separating our services so they can be explained, we’ll talk about web development here as what we might call building a website that needs some level of customisation but not quite as in depth as our bespoke software development service. Many websites we build use content management systems or CMS. This allows you, the client to manage the content of the site in an easy way, add blog posts, images and so on. WordPress is by far the most prevalent of these systems and is actually the ‘back-end’ of over 30% of the top 10 million website on the internet today, including BBC America, The Walt Disney Company and the official website of Sweden (Who knew?). 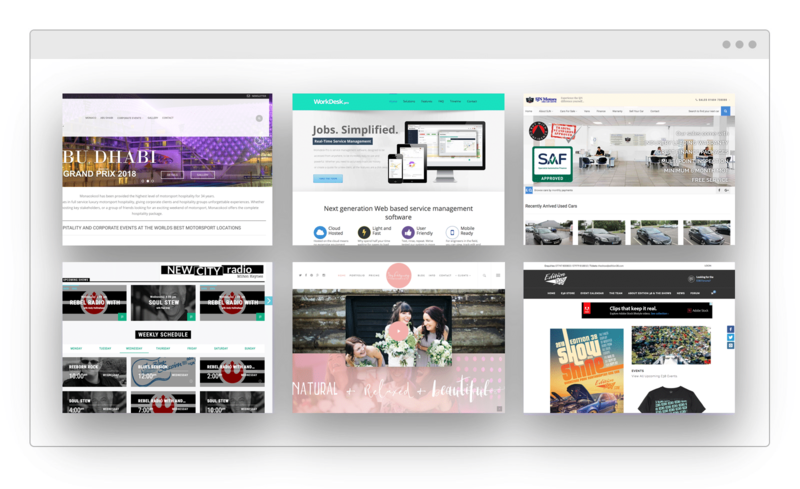 It’s a fantastic platform that allows for amazing websites to be built for modest budgets, yet is powerful and scalable enough to suit many needs. Where the development comes in, is customisation. Sometimes a business’s requirements might be such that a custom coded addition to the standard base system might be the best option. This might include integration into other systems or websites, and in some cases we have built completely bespoke content management systems for our clients, enabling them to have complete control over their business processes. You might also like to read more about our bespoke software services. New business or in need of a total revamp? You might like to check out our business starter packages. They have everything you need to give your online presence a great start. We have packages aimed at a variety of business types and budgets including eCommerce, service businesses, distributors and more.